We often do not realize the value of many things we own and our old mobile phones are not an exception. Usually, people leave those gadgets to gather the dust until they are finally thrown away. Why if you can even receive some money for your old phone? There are two ways: auctions or recycling schemes. 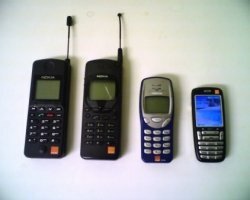 Even though many people think only about the financial benefit of not throwing away, but selling their old mobile phones, by doing so you actually do something eco-friendly. Mobile phones have some components that might damage atmosphere and soil. So, if we have convinced you to sell your old mobile phone, we will try to share some tips on how to do this in the best possible way. First of all, compare deals. Yes, you want to get rid of something you do not need, but there are so many different websites offering deals, so it is certainly worth comparing. You have to know information on your mobile phone and they can be found on the back of the mobile phone, on the IMEI label. This way you will know what to check out when comparing the deals and the buyer will also be more informed about your gadget. Keep in mind that you should remove the SIM card and any personal information on your phone, so restore it to the factory settings. You will both secure your privacy and the buyer will buy the “ready to use” item. It is important to find those website nearby your hometown, so look for “oude mobiel inleveren” websites, if you live in Holland etc.